Snippets of cotton, silk and lame' form the background for this small art piece. 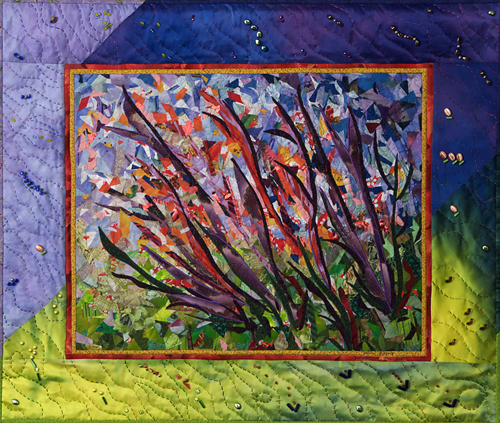 Layered fusible waving sea plants are machine appliqued. The wide dyed silk border is quilted with a running big stitch and beaded. Available in card boxes. Original design.